ANOTHER of the sport’s much-loved champions will be honoured at Tabcorp Park Menangle on Saturday night. Fresh from hosting the Hondo Grattan Stake – won by Picard – last week, the world class venue will stage the Paleface Adios Stake. The two features are qualifiers for the Chariots Of Fire, which is scheduled to be run at the 1400-metre circuit on February 16. Without doubt one of the most revered pacers to grace Australia’s racetracks, Paleface Adios was truly a once in a lifetime performer. In a career spanning 10 seasons, Paleface Adios met and beat the best the southern hemisphere had to offer – including Hondo Grattan. In a period when the industry was rich in champions, Paleface Adios was a shining light. Names such as Mitchell Victory, Welcome Advice, Just Too Good, King Frost, Adios Victor, Don’t Retreat, Roma Hanover, Pure Steel, Markovina, Koala King, Rip Van Winkle all took on Paleface Adios at various stages. Paleface Adios’ list of achievements is so great, there simply isn’t enough room to cover each in depth. 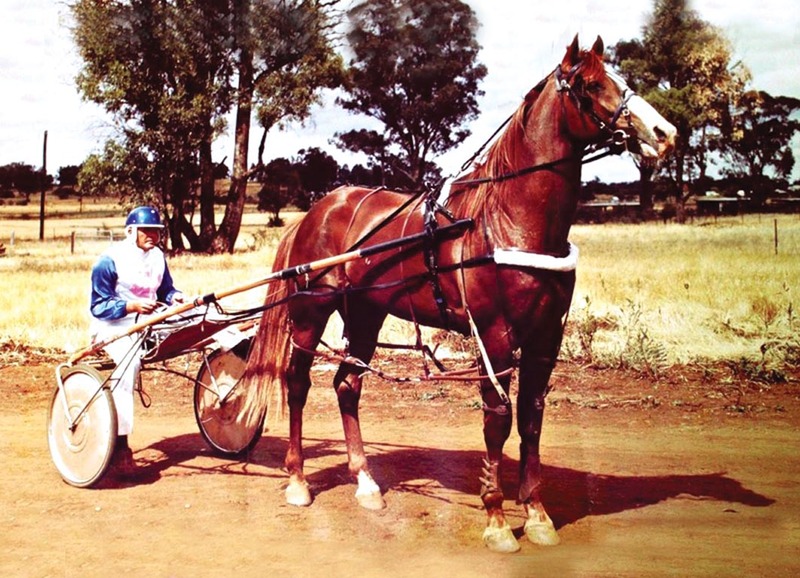 For example, he was Australia’s first Grand Circuit Champion, a triple Derby winner, he won more races and more Inter Dominion heats than any other pacer, broke class, track, national and world records seemingly at will. Apart from his Derbys, and Inter Dominion heats, Paleface Adios won a host of feature races, including a Miracle Mile, two Sir Clive Uhr Championships, two Lord Mayor’s Cups, New South Wales Sapling Stakes, Edgar Tatlow Stakes, R C Simpson Sprint, Australasian Four-Year-Old Championship, Winfield Cup and a Cranbourne Cup. Passing away at the age of 20 in December 1989, Paleface Adios replicated his racing feats at stud. The leading colonial-bred stallion, Paleface Adios left 723 foals for 218 winners. His best performers include Inter Dominion placegetters Paleface Bubble and Weona Chief, plus the superb two-year-old, Great Ambition. There will never be another Paleface Adios I had the honour of watching him race so many times. He achieved so much through his two year old,three year old and four year old seasons into his adult racing career until his retirement it is doubtful that any other pacer will ever equal what Paleface Adios achieved. As stated he done all of this when there were so many champions racing against him. He will always be a favorite of mine and will always have a special place in my heart.